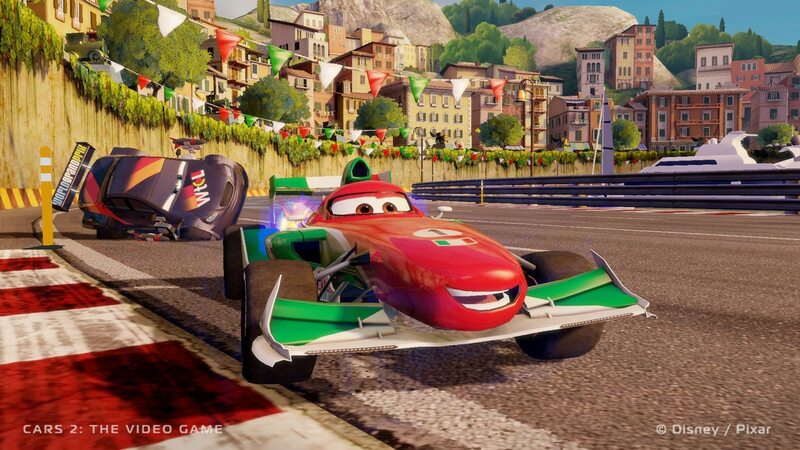 Disney Interactive Studios have unleashed the debut trailer for Cars 2: The Video Game, currently in development by Avalanche Software and due to release in July across Xbox 360, PS3, Wii, PC, Mac and Nintendo DS platforms. The game introduces the international training center for CHROME (Command Headquarters for Recon Operations and Motorized Espionage), where players choose from one of 25 different characters such as Mater, Lightning McQueen and the newly introduced Finn McMissile and Holley Shiftwell and train to become world class spies. As part of their international training, they will participate in simulated hazardous missions using high-tech gadgets to evade and slow down adversaries. As the trailer details, you can expect Cars 2: The Video Game to offer action-packed missions throughout twenty levels, adrenaline-filled combat racing and high-speed multiplayer fun, proving to be the perfect accompaniment to the Disney Pixar film which releases across the United States on June 24th, and in the United Kingdom on July 22nd.